The band talks Nova Scotia music scene and their new album, Civilianaires. The Canadian band plot a 2019 tour. October 3, 2018 | The Trews are currently promoting their sixth studio album called Civilianaires. As veterans of the modern rock scene, they have taken their material to new heights and explore their own continuing evolution, as well as address the current political climate. "What to do with the acts of monstrous men / Me and you, us and them / The little man who isn't home / His little hands arm the drones," MacDonald sings on "The New Us," a song about President Trump and his leadership skills. He continues, singing: "I'll stand up with the wounded nation / And fight with righteous indignation / So many in the wrong / It's hard to see the good / Poisoning the well / Rotting the wood." That passion is present on much of the record. Look no further than songs like "Vintage Love," "Leave It Alone" and "Bar Star." 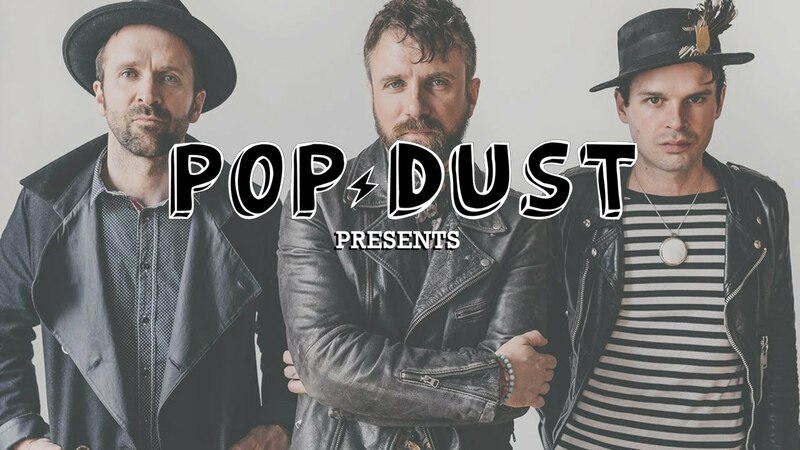 The band recently stopped by the Popdust studio to discuss playing all over the world, their upcoming tour (see dates below), the Nova Scotia music scene, and new musical inspirations. Watch the interview above. The band also includes John-Angus MacDonald, Jack Syperek and Chris Gormley, and the new album features contributions from Toronto-based producer Derek Hoffman. "I can tell you we were skeptical at first. Derek is quite a bit younger than us and doesn't have a huge track record. But we agreed to do one session at his Fox Sound studios to see what he had. 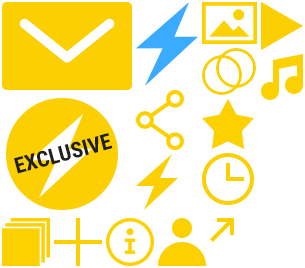 And that one session yielded 'Time's Speeding Up,'" says MacDonald in press materials. Hoffman joined the band for several sessions in the studio. MacDonald adds, "One of the great things you learn in the business over time is how to spot talent quickly. Derek just had an abundance of talent, and we said to ourselves, 'We didn't come this far to overlook this feeling.' We followed our gut." What sells the music most is MacDonald's conviction. That approach is felt in spades on "Up Sweet Baby" and "Let the Great World Spin." For example, he sings on the former about a lover, "Lift me up, let me down / Everyone gather round / Take it in, check it out / In the harsh light of now / Anyway, anyhow, anywhere / Come around / Getting high, laying low / I'm coming home." Civilianaires follows The Trews' 2014's self-titled album. It debuted at No. 3 on the Billboard Canadian Albums chart behind Iggy Azalea's The New Classic and the Frozen soundtrack. Musically, they continue pushing boundaries while staying close to what has worked in the past. Recently, the band announced plans to take part in the Canadian Pacific Holiday Train, which kicks off November 25 and goes through Winnipeg, Calgary and other big cities. "This will be our first time touring by train," they wrote on Facebook, "which is something we've always wanted to do, and to do so while being able to raise some money and put food on local shelves at this most important time of year makes it all the more special."